BC Rail, also known as Pacific Great Eastern until 1971, received RSC-3 #561 as it's first diesel in 1951. The unit is preserved by the West Coast Museum at Squamish BC and is operational. 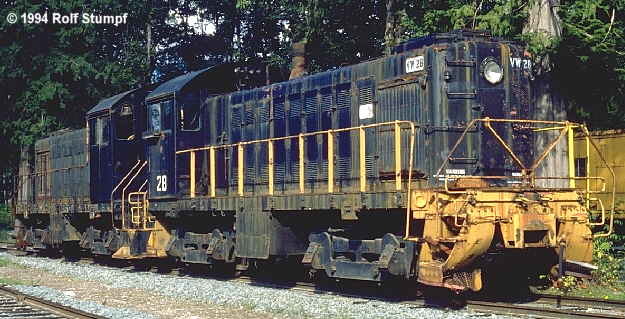 Two ALCo switchers - ex Vancouver Wharves #28 and #23 in September 1994. No. 28 has left the property since (sold for scrap in 1997).